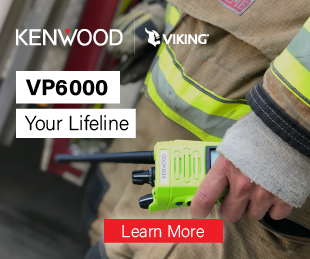 Verizon announced five participating companies for the first cohort of the 5G First Responder Lab, an innovation incubator that will give first responder technology companies from around the globe access to 5G technology to develop, test and refine 5G solutions for public safety. The creation of the 5G First Responder Lab was announced in November. Located in the company’s 5G Lab at Alley, a membership community for entrepreneurs in Washington D.C., the 5G First Responder Lab will bring together a total of 15 innovators in three separate cohorts to develop public-safety solutions over a one-year period. Each three-month cohort will give five first responder technology developers access to the lab and its 5G network and the opportunity to collaborate with Verizon and Responder Corp on 5G use case testing, insight creation, and go-to-market strategies. Chosen from an applicant pool of more than 50 companies, the participants in the first cohort of the program were selected based on their ability to enhance readiness, responsiveness, recovery and rebuilding. Applications for the second cohort of the 5G First Responder Lab are open now through April 5. Innovators and entrepreneurs can learn more and apply for the next cohort here.